No, this isn’t Billy Ocean’s “Caribbean Queen,” it’s a parody that’s been stuck in my head ever since I heard it sung from the ever-so-entertaining group, Jethro Codeine & The Stool Pigeons, who put on a spectacular show last Sunday at The Post Brewing Co.’s Music In the Yard. The setup – you’re chillin’ on the patio enjoying everything lazy Sunday’s are made for: amazing food, ice cold pints and funky tunes. 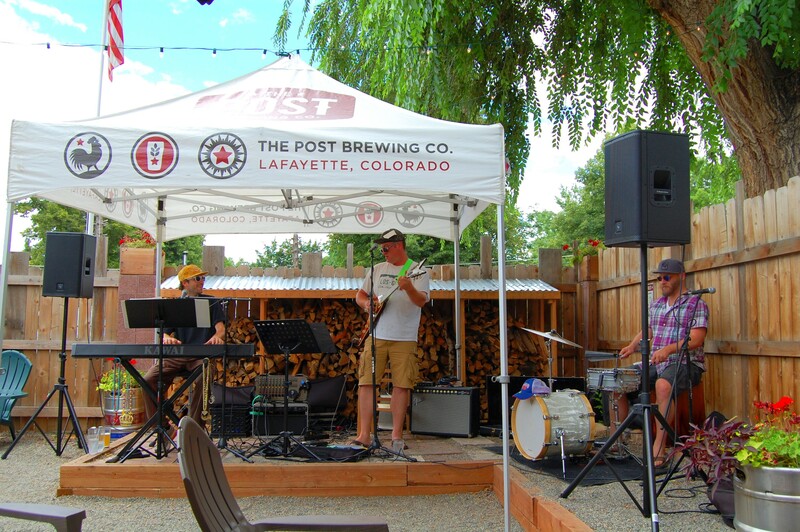 Music In the Yard happens every Sunday (all year-round), from 11 a.m. until 2 p.m. at Lafayette’s hottest brewpub The Post Brewing Co., and features a different local band to fit your fancy while enjoying their cozy outdoor patio and amazing fried chicken. 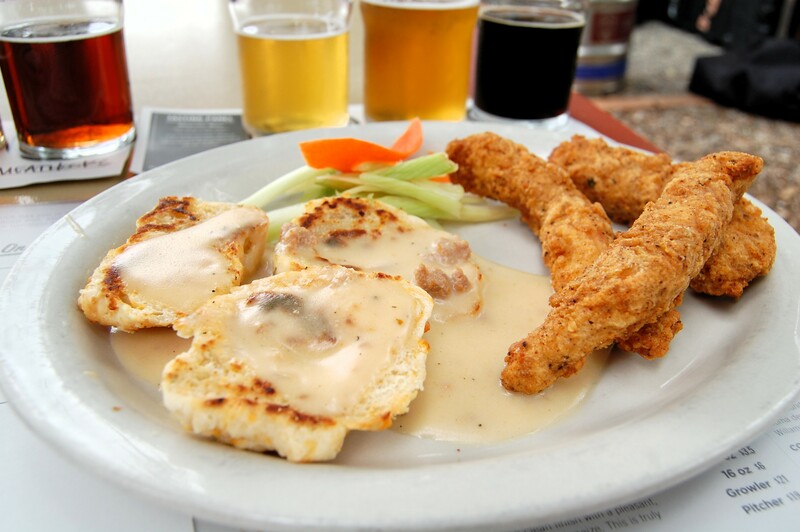 Yep, you heard right: FRIED CHICKEN! First flight. Photo by Rachel Dugas. clue the crust was GF until event manager Sarah Ingraham told me it was. Still not sold? 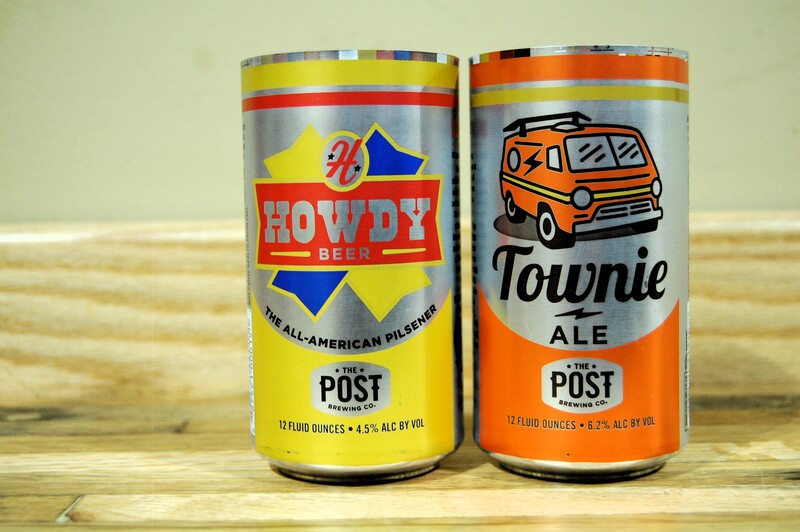 Did I mention The Post’s Howdy pilsner won a Silver Medal in the Great American Beer Festival in the Best American-style/International-style Pilsner category with having been in business for less than a year? 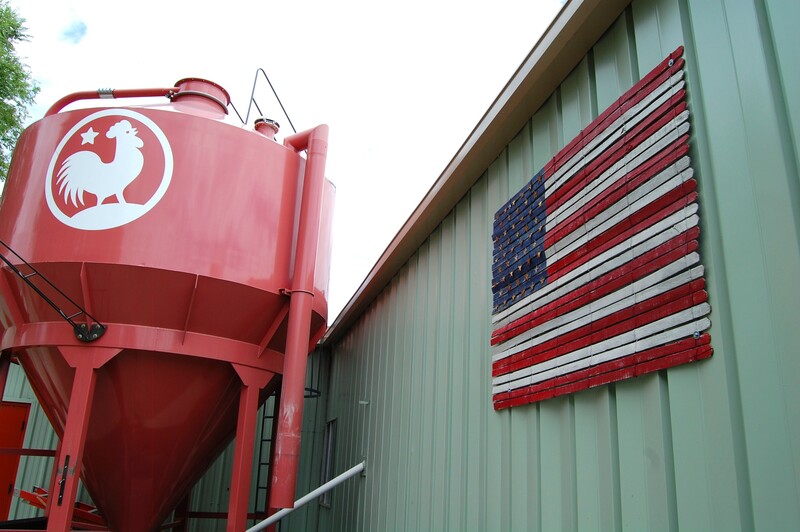 This honor is due to one of the greats – Brewmaster slash partner Bryan Selders – who moved his family here from Delaware after working for Dogfish Head Craft Brewed Ales for more than a decade – who ventured back into the beer world by becoming head brewmaster for The Post. 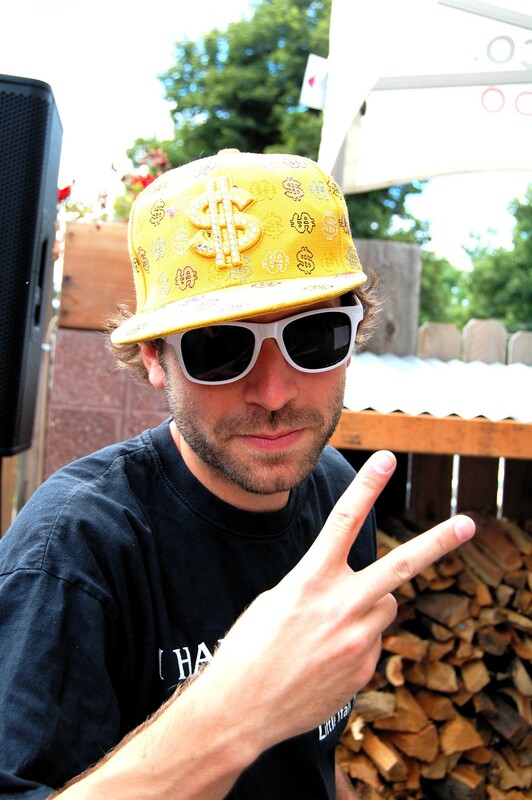 Some of us beer geeks might recognize Selders as he was one of the stars of the Discovery Channel’s reality series “Brew Masters.” *Wink. 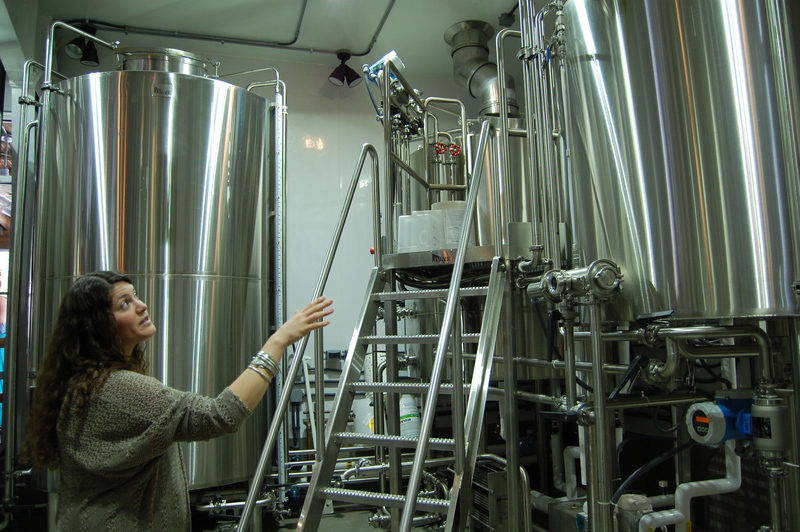 “This is (Selders) jumping back into the beer world – winning an award in the first year,” the event manager said about the company’s choice to hire the best they could find to head the Boulder restaurant group Big Red F’s first brewpub. Big Red F Founder and former Chef Dave Query said he chose Lafayette to open the group’s first brewpub as a nod to his childhood. 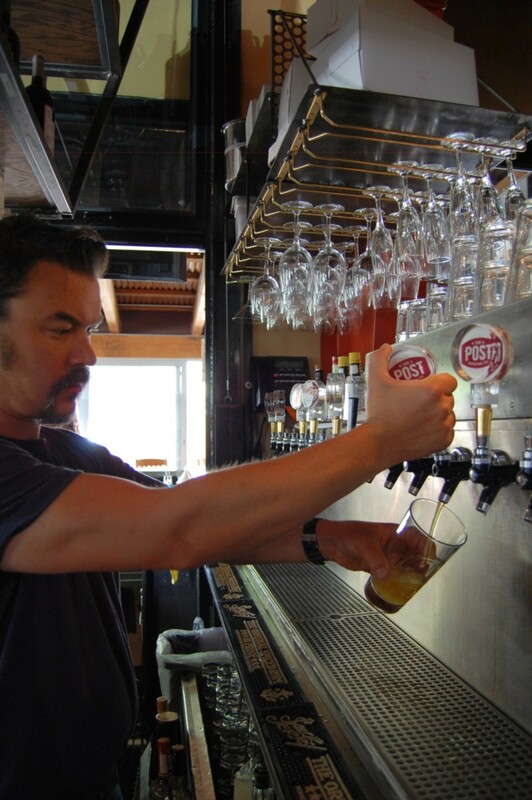 Bar manager Adam Sawyer works on the perfect pour. Photo by Rachel Dugas. Classic Americana at The Post. Photo by Rachel Dugas. And boy was he right! Drivers can notice a full parking lot and fully lined street almost every day the doors are open. 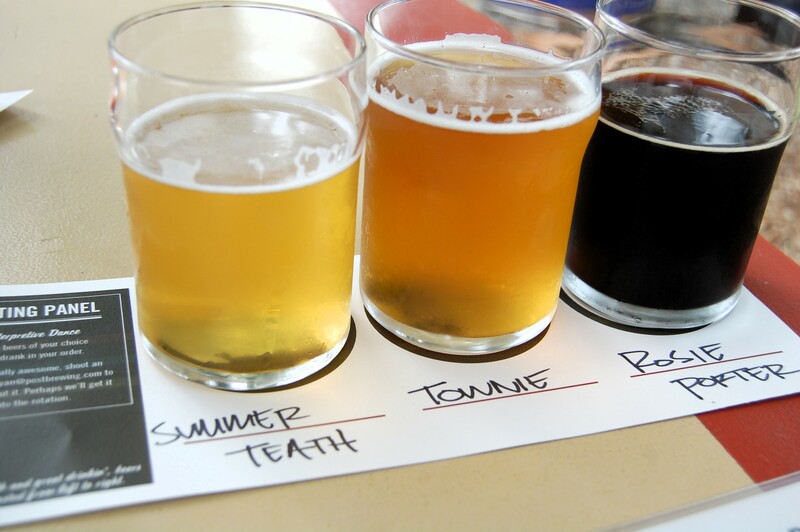 Locals flock in to taste whatever The Post is pouring, from the traditional to the unexpected. “Ol’Zippy is an homage to (Selders’) father,” head server Matthew Glassford explained as he laid out a flight of tasters for this writer to sample. “This (one) is our porch pounder,” he said about The Post’s signature Townie Ale. “It goes well with hard work and sweat,” he quipped. Another noteworthy beer (currently on tap) is the Berliner Weiss – a collaboration between Mike Rivera, this year’s winner of the annual Lil’ Brewer Buddy Competition, and Brewmaster Selders. The tart wheat ale is slightly sour and everything white or wheat beer lovers crave. 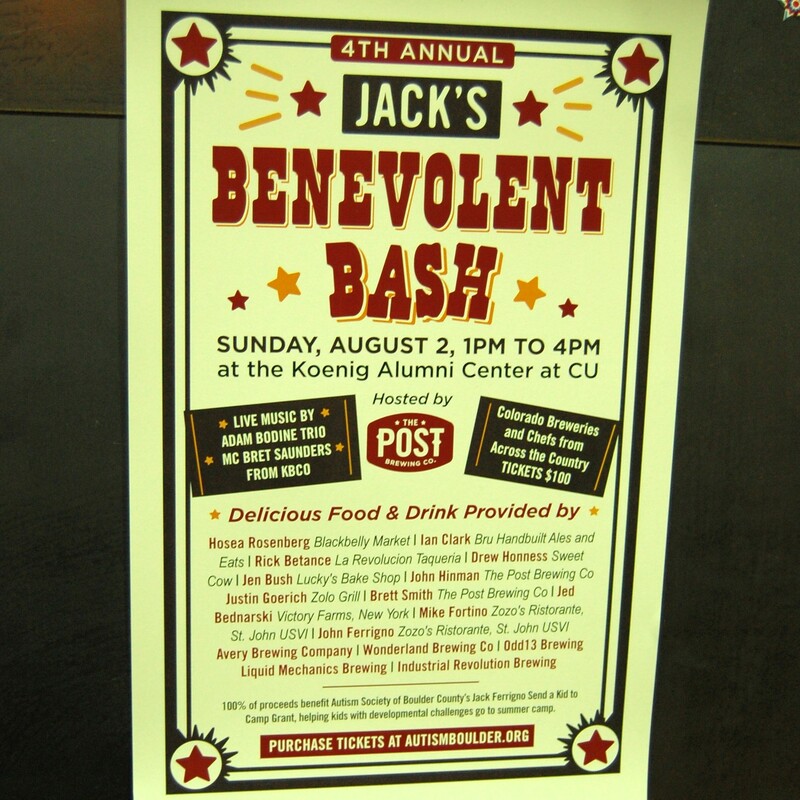 Food and brews aside, The Post also believes in community and service, having sent more than 40 autistic children to camp last year as the result of generosity from ticket buyers for their annual charity event, Jack’s Benevolent Bash, which is being held at CU’s Koenig Alumni Center on Sunday, Aug. 2, 2015. Very entertaining article, thank you! Next Next post: Hello Rowdy Mermaid!